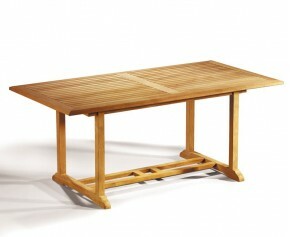 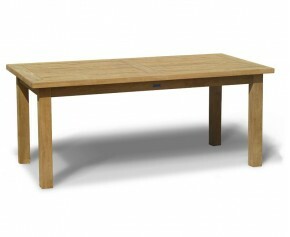 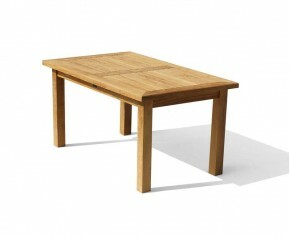 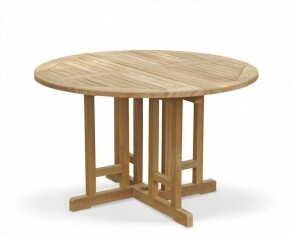 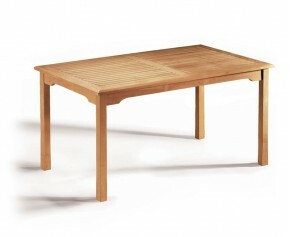 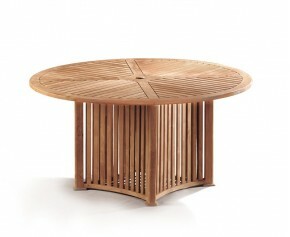 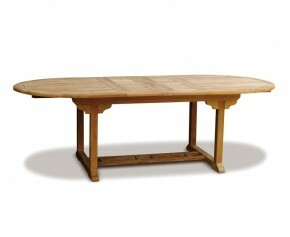 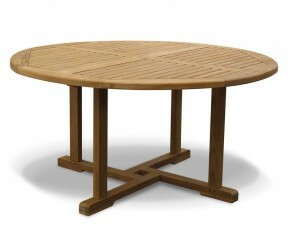 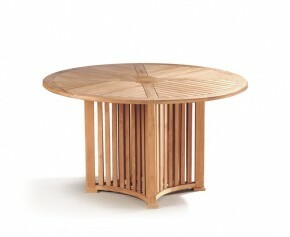 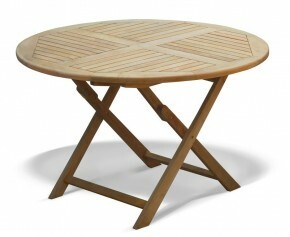 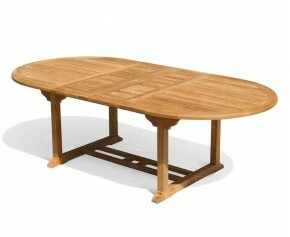 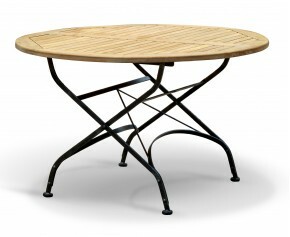 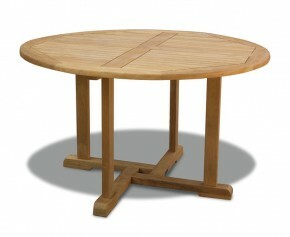 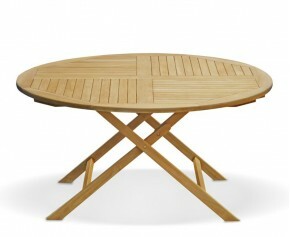 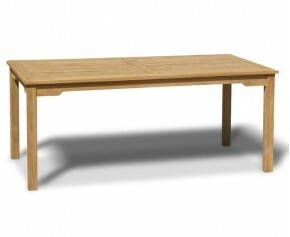 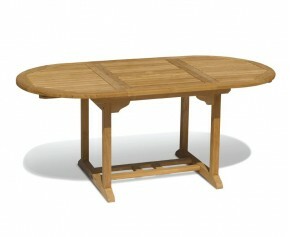 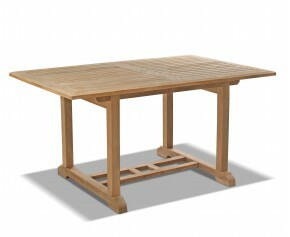 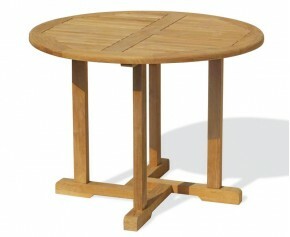 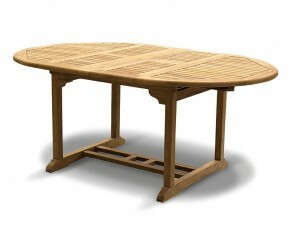 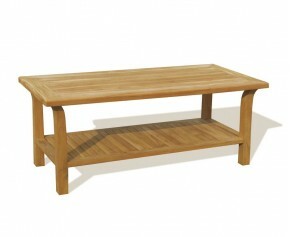 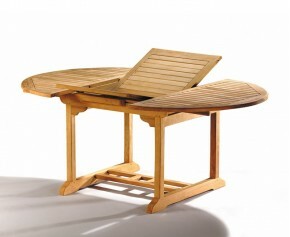 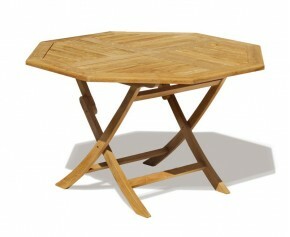 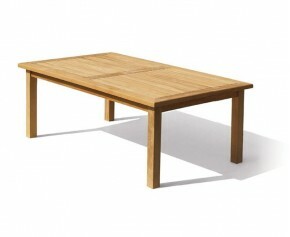 This Cadogan large teak garden table is constructed to the highest spec from sustainable A-grade teak. 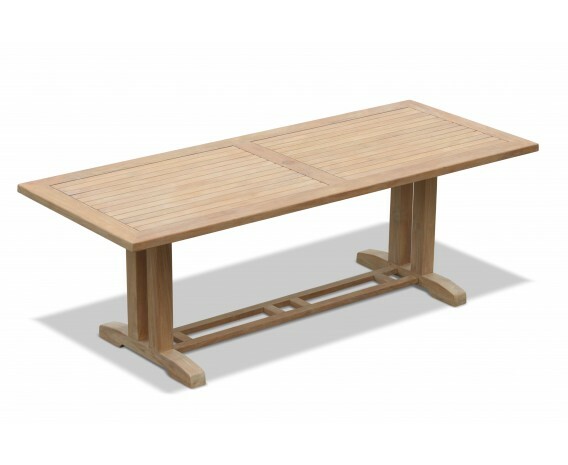 Built to last, it can remain outdoors all year round requiring only minimal maintenance, ensuring trouble free use for years to come. 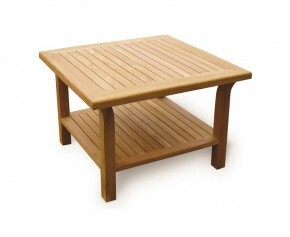 This rectangular large teak garden table features a pedestal base design and strong, solid 4cm table top with chamfered edge for added comfort. 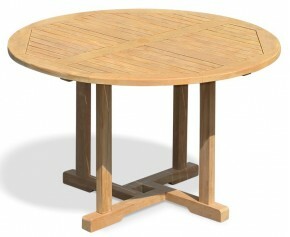 This rectangular teak garden table creates a superb focal point when teamed up with our teak and rattan dining chairs and is sure to impress. 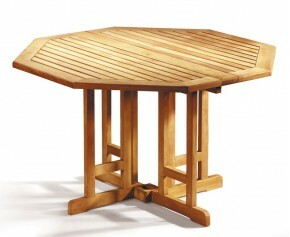 The central rail has been pre-drilled for a parasol with pole diameters of up to 5cm. 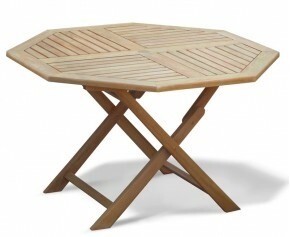 A teak parasol plug is supplied for use when a parasol is not required. 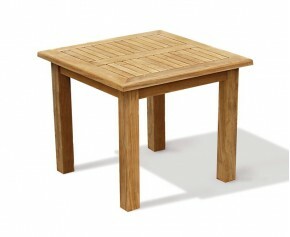 This rectangular large teak garden table will be delivered fully assembled for your convenience.